Walkers: Gabriel Fuller, Debra White, Helen Cuell, Mick Roberts, Doris Denny, Ginny Logan, Lyndal Almond, Janette Malone (visitor), Viv Pascoe, Katherine Graham, Brenda Riley, Andrew Hackett, Jack Antonas, Clare Cotton, Les Roe (these 4 from ORTWA) and Daphne Sands (leader). It was a beautiful day for walking, clear, a little cold, but no rain. After climbing through the thick forest of the Ironbark Gorge we stopped for banana break on the rock shelf that gives a magnificent view to the sea and the Aireys Inlet lighthouse. 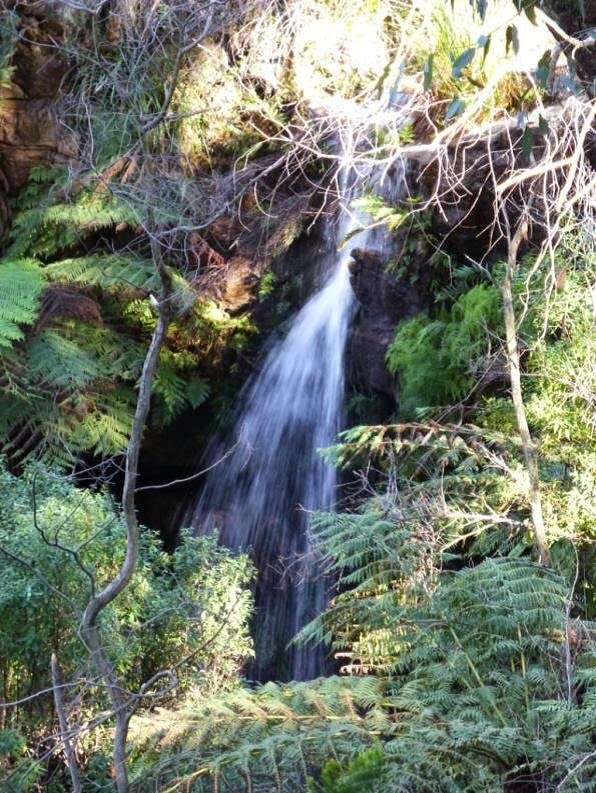 The highlight of this walk was to see water flowing over the Currawong Falls, not seen before by any of the walkers. Parks have constructed a small viewing platform giving a good view of the falls. Descending after the falls the track was a running creek in a couple of places, but once we crossed the creek it was dry and in good condition. Except from the group from Camperdown, we all gathered at Truffles for a warm drink and a chat.